Shane Lowry could be a dark horse for a Ryder Cup debut this year. But while the Offaly ace refuses to think about making Jose Maria Olazabal’s team, he reckons he’d die for Paul McGinley if the Dubliner got the captaincy at Gleneagles in 2014. The 2009 Irish Open winner is ranked 21st in the race for five spots from the European Points list for this year’s matches in Chicago. But he’s not actively targeting a place in the side, explaining: “I was actually thinking about that at the Dubai World Championship. I remember Ross McGowan a couple of years ago finished second in Dubai and nearly made the team. “Going into the last round I thought if I could shoot six under or seven under that I could finish in the top three and go a long way to getting on the Ryder Cup team. I thought about it for a minute but I wasn’t thinking of if during the round. Pocket battler Paul McGinley will take a giant step towards the Ryder Cup captaincy at Wentworth today. 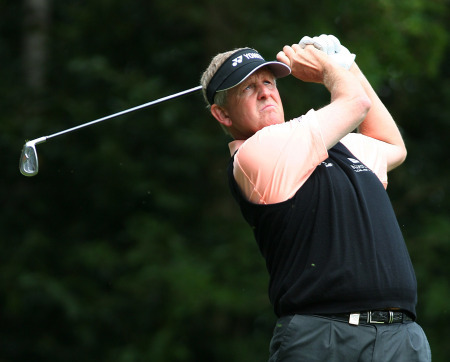 The Dubliner, 43, will be named as one of Colin Montgomerie’s vice-captains for October’s clash with the US at Celtic Manor. And while that will strengthen his bid to become the first Irish Ryder Cup captain at Gleneagles in 2014, he could get his chance sooner than he thinks. Miguel Ángel Jiménez is running out of time to become Ryder Cup captain. Could he possibly deny Paul McGinley at Gleneagles in 2014? Miguel Ángel Jiménez admits he could be one of Paul McGinley’s rivals for the 2014 Ryder Cup captaincy. The man from Malaga, 48, knows that Gleneagles will represent his last chance to lead Europe into battle against the Americans. And while he’s aware that McGinley is the hot favourite with the bookies, he’s certainly not ruling himself out of the running for the job. Ryder Cup 2014 captaincy betting - changes afoot? Paul McGinley and Darren Clarke during a question and answer session at the 2011 Irish Open in Killarney. Photo Eoin Clarke/www.golffile.ieWhen I checked with bookmakers William Hill on Monday, Paul McGinley was still favourite for the European Ryder Cup captaincy at Gleneagles in 2014. Despite all the talk about Darren Clarke, he’s still there.